The Global Security Institute is dedicated to strengthening international cooperation and security based on the rule of law, with a particular focus on nuclear arms control, nonproliferation and disarmament. The Center for International Policy promotes cooperation, transparency and accountability in global relations. Through research and advocacy, our programs address the most urgent threats to our planet: war, corruption, inequality and climate change. We advocate policies that advance international cooperation, demilitarization, respect for human rights, action to alleviate climate change and stop illicit financial flows. 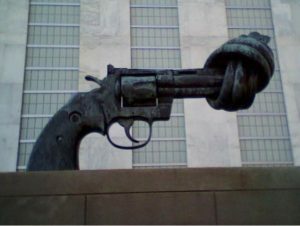 This entry was posted in 10 Disarmament and tagged global security, Center for International Policy by trendswe. Bookmark the permalink.